For your information primary data of March are mentioned, too. The average month temperature was -1,5 oC (long-term average 3,6 oC) and precipitation 20,8 mm (long-term average 23 mm). March was markedly substandard as for temperature and average respecting precipitation. In comparison with long-term average April was slightly substandard regarding temperature and common as for precipitation. Beginning of April was very cold. Start of spring works was slightly delayed owing to the temperature. Hop cutting was finished on 30th April. 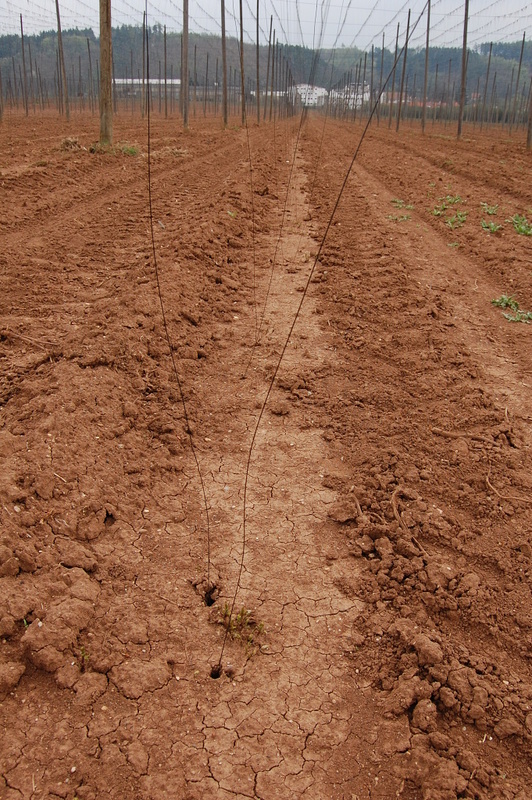 By the end of April the stringing was finished at major part of hop area as well. Hop plants are in sprouting stage nowadays. Hop training start is expected about 10th May. Photo shows up-to-date stand of hops at our farm in Destnice on 30th April.